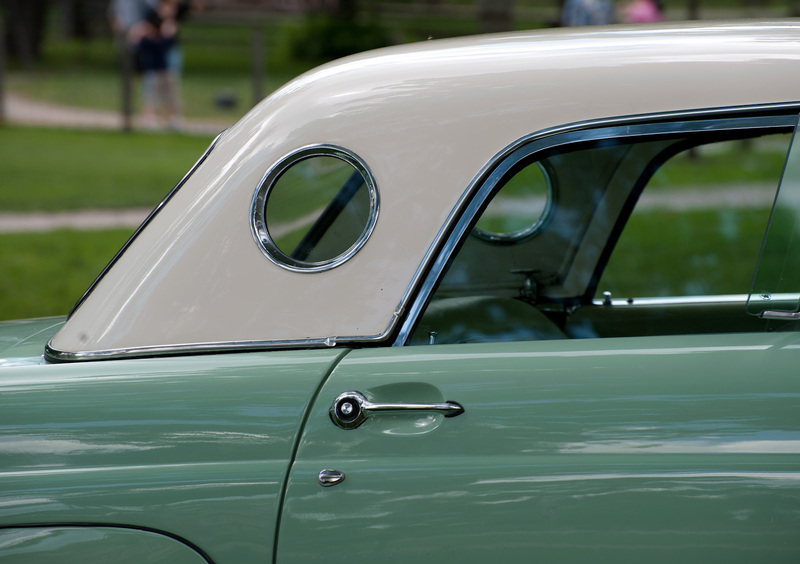 This is a shot of a 1956 Thunderbird Convertible taken at the 2010 Motor Muster held annually at Greenfield Village in Dearborn, Michigan. Processing on the image was fairly minimal. I created more of a square crop to focus on the window ports and I used a curves layer to darken the image a bit and add some additional contrast. I used a HSL layer to remove the blue sky reflection from the chrome and then applied a little vignette in Lightroom. Awesome shot. 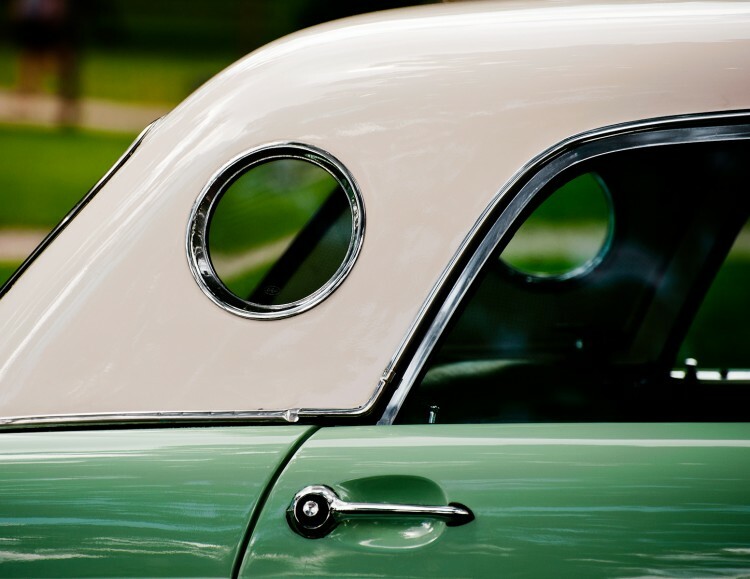 I really like the old T-Birds, and this porthole window is so iconic to them! Lovely! Thanks! The porthole windows were definitely the thing that caught my eye for this shot. I really love cars, especially classic American ones. Great capture today James, love how you processed and presented it! Memories are made of this. Wonderful image! While in high school in 1963 my friends father bought him a red, 1955 T-Bird from an engineer at Bell Helicopter. The engineer had used it for racing so it had several modifications to the engine. If I recall correctly it had a slightly bored out 312 cu in engine with Jahns 10:1 pop up pistons, a 3/4 race cam, two Holley 4 barrel carbs, a Mallory transistorized ignition and of course a very heavy duty clutch. He removed one of the carbs which marginally helped his gas mileage but didn’t effect the performance very much. It was one of the fastest cars I have ever had the pleasure to ride in and be scared within inches of my life. It would easily out drag a stock Chevy 409 in the quarter mile. Thanks for the memory. Great photos, I like how you show the before and afters. Thats a great Idea!